Behold the mighty Stoke Newington Mulberry! 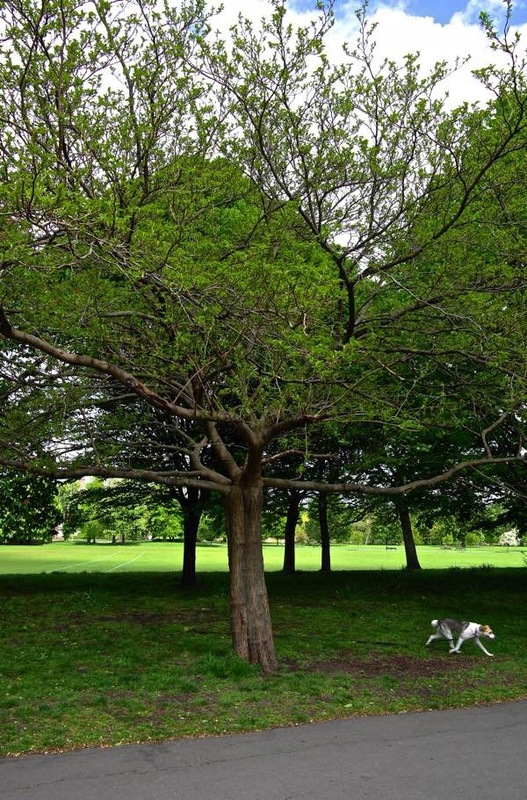 Over recent weeks, I have introduced you to the Bethnal Green Mulberry, the Haggerston Mulberry, the Dalston Mulberry, the Whitechapel Mulberry and the Oldest Mulberry in Britain. You may be assured that this latest addition to my growing list of magnificent London Mulberries is more than worthy to join its peers. 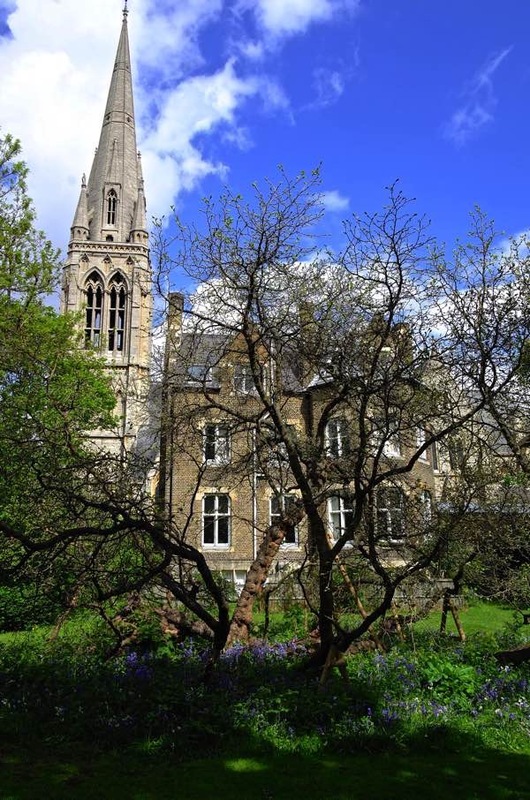 The Stoke Newington Mulberry is especially favoured by its secluded location, at the centre of the lawn in the vicarage garden with George Gilbert Scott’s monumental spire of St Mary’s New Church towering high overhead. Such a placement proposes an unlikely conversation between Gilbert Scott’s austere Anglican gothic soaring above and the lyrical romance of the Mulberry flourishing beneath in its shade. Rector Dilly Baker is the custodian of the venerable Mulberry, which she is informed by an authoritative member of her congregation is approximately four hundred and fifty years old – which means it predates almost everything around, except St Mary’s Old Church across the road which was recorded in the Domesday Book in 1086. The Mulberry is certainly old enough for Daniel Defoe to have sat under it when he lived nearby in Stoke Newington Church St at the beginning of the eighteenth century. 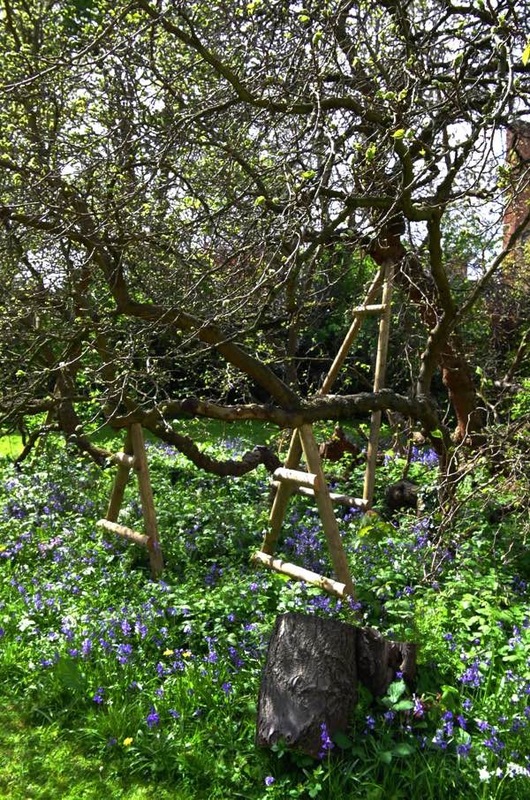 The trunk of the Stoke Newington Mulberry collapsed long ago and – like its Syon Park counterpart – it has spread its limbs, taking up the greater part of the lawn and delivering the ideal habitat for a drift of bluebells which are in bloom now to splendid effect. 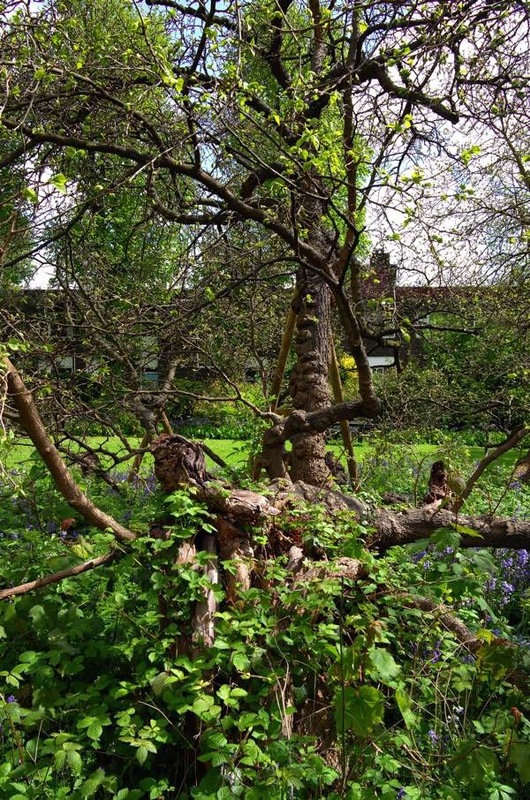 Recently renewed supports for its ancient branches bear testimony to the affection that the Stoke Newington Mulberry draws from its many fond admirers. This breathtaking horticultural feature at the centre of of the lawn is the ideal conversation piece at the vicarage and one can only wonder how many parishioners have stood around the Mulberry with teacups at fetes and other ecclesiastical gatherings, speculating about its great age and what tales of old Stokey it might tell if only it could talk. Several in Greenwich Park, often yield good fruit. And an old one at Charlton House, I believe. I’m really enjoying the mulberry collection. Wonderful trees, sadly ignored these days as a good planting option for people’s gardens, presumably due to the “mess”. There’s little more sensational than a perfectly ripe mulberry that holds together *just* long enough to make it from the tree to my mouth. My husband was the curate of St Mary’s from 1977-1980, and we lived in the Rectory Flat on the top floor of the house. Our baby daughter played under the shade of the tree, and we made mulberry jelly, following the recipe of the Rector’s wife, which I still use.